Every once in a while we take a look at some cool places outside of Cleveland. Today we look at the Ohio History Connection down in Columbus. The mission of the Ohio History Connection is to “Spark discovery of Ohio’s stories. Embrace the present, share the past and transform the future”. The museum, state archives and historic preservation offices are all located under one roof in the massive Brutalist structure that is the center. 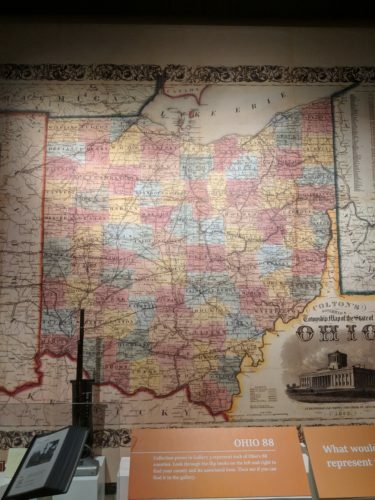 Some of the current exhibits include the Ohio – Champion of Sports exhibit highlighting all the sports from Ohio, from baseball, soccer, football and even roller derby. Also a Pop Culture exhibit highlighting the 1950’s Building the American Dream. In the summer months, you can go outside and explore the Ohio Village, a recreated 19th-century Ohio community. When you are in Columbus, check out the museum. When you are in Cleveland join us on one of our walking tours of downtown Cleveland. 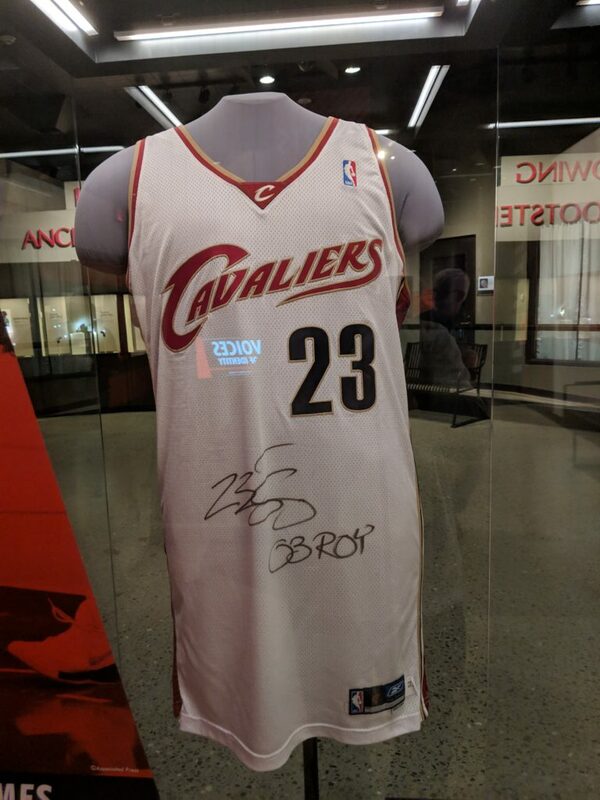 LeBron James’ jersey on loan from the Smithsonian.